Neesa Sweet is a strategist, consultant, executive and team coach, facilitator, writer, trainer and speaker. She helps companies build value by facilitating communications and change to better align brand promise, leadership, corporate culture, and employee behavior. Formerly the Director of Learning and Development for the Chicago Sun-Times News Group, Neesa has consulted to dozens of companies, not-for-profits, healthcare institutions and agencies–including long range support for change initiatives at BP, Allianz Insurance, Underwriters Labs, American Airlines and Norwest Mortgage. Other projects include an innovative participatory management effort at Sears; and additional consulting, coaching and training for the BP Foundation, Case IH, the Economic Club of Chicago, Allstate Insurance, Humana, Kraft, PACE Bus and more. She’s developed leadership, innovation, change, management and communications workshops, often incorporating insights from brain science, systems and complexity science, polarity thinking, appreciative questions, linguistics, and personality and preference models. She has also designed and facilitated strategic planning sessions, leadership meetings, team sessions, retreats and interactive breakout sessions at sales and other corporate meetings; and has designed, facilitated and managed strategy roll-outs. Clients appreciate her ability to understand complex systems and situations quickly, her capacity to build rapport and confidence, and her skill at framing choices and approaches. 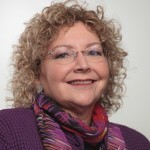 She taught Narrative for Business at the University of Chicago Graham School, and has been a regular learning team leader and coach at national Linkage Organization Development Conferences. 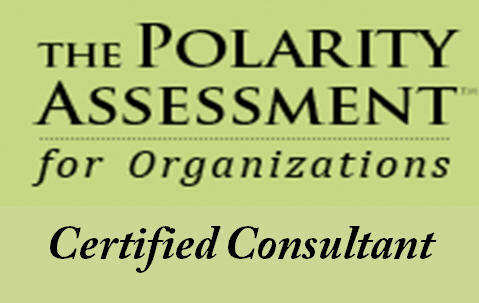 She is a Certified Coach from the Neuroleadership Institute; is certified in assessment tools including the Polarity Assessment, the MBTI, and HBDI; and is a Master Practitioner of NLP. She was trained in change management by LaMarsh & Associates and has worked with change tools from Prosci and other systems. Her background also includes work with Innovation Associates in Framingham, MA, where concepts of the Learning Organization were developed and she helped focus projects on results. Her company is the Braided River Group of Highland Park, Illinois. The name itself is a geological metaphor for organizational change. Like the braided rivers which run below glaciers, creating changing pathways on a consistent course; effective companies balance flexibility with direction and vision.